Cut figs in half and place into pan. Add juice and place on stove. 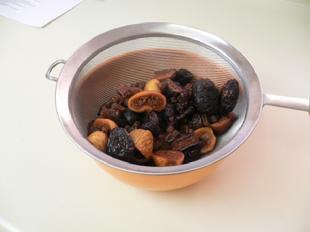 Bring liquid to a boil and boil figs for about a minute, stirring a few times. 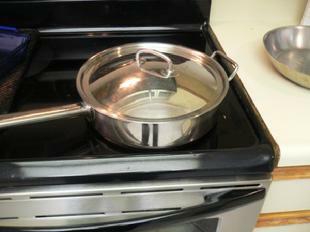 Turn heat off and place a tight cover on the pan. 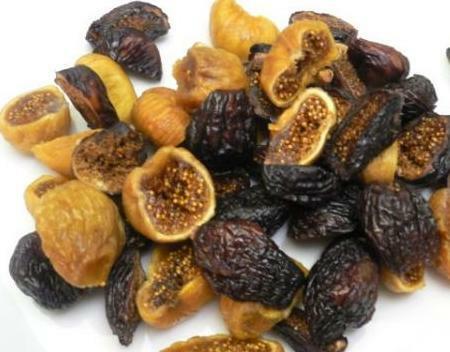 Remove from stove and let the figs sit for ten minutes. While figs are plumping (hydrating) start the dough. 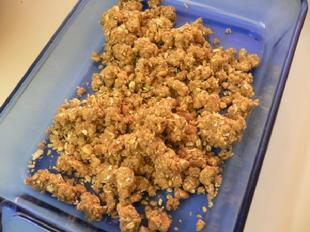 Flour, oats, walnuts, cinnamon, baking soda and salt. 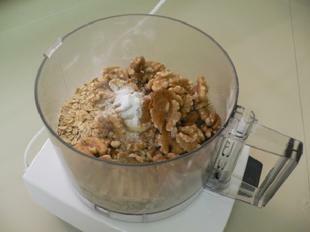 Place dry ingredients into bowl of food processor. Pulse the processor on and off a few times. 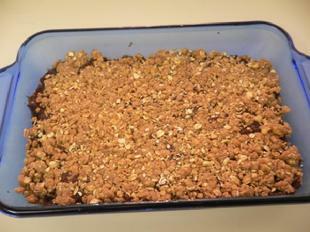 The ingredients should be ground to a medium-course texture. 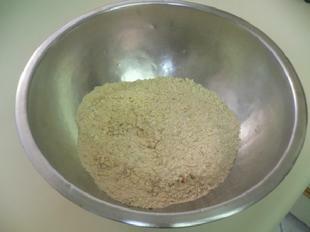 Place ingredients into a mixing bowl. 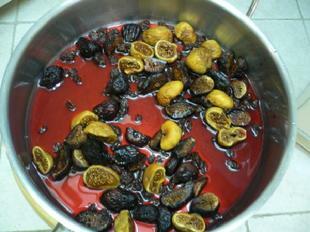 Strain the figs and save all of the poaching liquid. 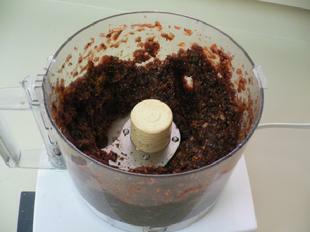 Place figs into the food processor. Let the machine run for a number of seconds to puree all of the fruit. Remove puree from the bowl or just leave it in until needed. 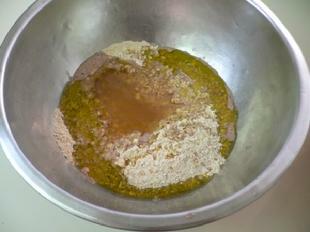 The strained poaching liquid is needed to make the dough. Do not kneed the dough, keep in loose and chunky. 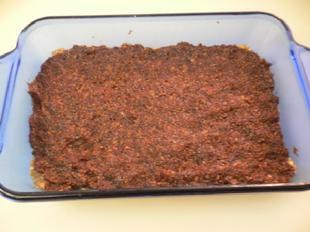 You can rub or spray a bit of oil into a baking dish. 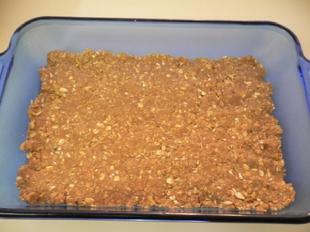 Pour 60% of the dough into the baking dish. Moisten your hands to avoid dough sticking. Push down on dough to form a bottom crust. Place all of the fig puree over the bottom crust. Using hands, spread puree evenly over crust. Sprinkle remaining dough over fig puree. Gently press dough to form a top crust. Place baking dish in oven. 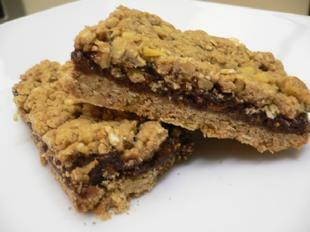 Figgy Bars taste great after a day, covered, in the fridge.